Donavon Frankenreiter brings his soulful, laid back island grooves to the Wilma Theatre in Missoula on March 28, 2012. Don't miss this rare Montana appearance for Donavon! Tickets go on sale this Friday, November 4, 2011 at 10 a.m.
Jack Johnson's longtime beach buddy and musical confidant from Hawaii reached out to his old friend, who released Frankenreiter's self-titled debut back in 2004 on his label (Brushfire Records). That proved to be a very wise decision, bringing peace and love to many Frankenreiter fans since! We love him here on the Moose, he's one of those artists that couldn't be a better fit. 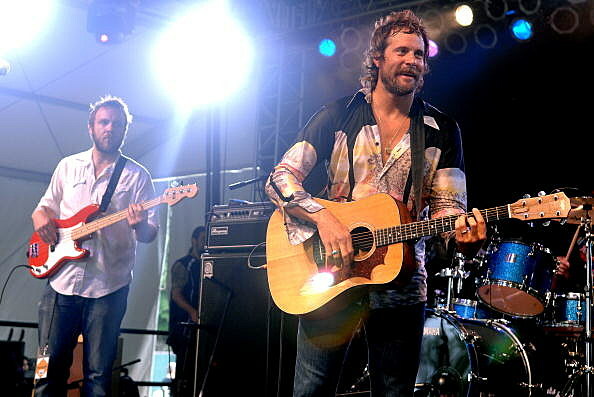 Don't miss Donavon Frankenreiter live in Missoula at the Wilma Theatre on Wednesday, March 28, 2012. Doors open at 7: p.m., show starts at 8:00 p.m. Tickets are $21.00 in advance, $23.00 the day of show. They go on sale this Friday, November 5, 2011 at 10 a.m. Tickets available at Rockin' Rudy's, by calling 877-4-FLY-TIX, online at www.ticketfly.com or www.knittingfactory.com.